No, I haven't been in prison, so its not as bad as it sounds. 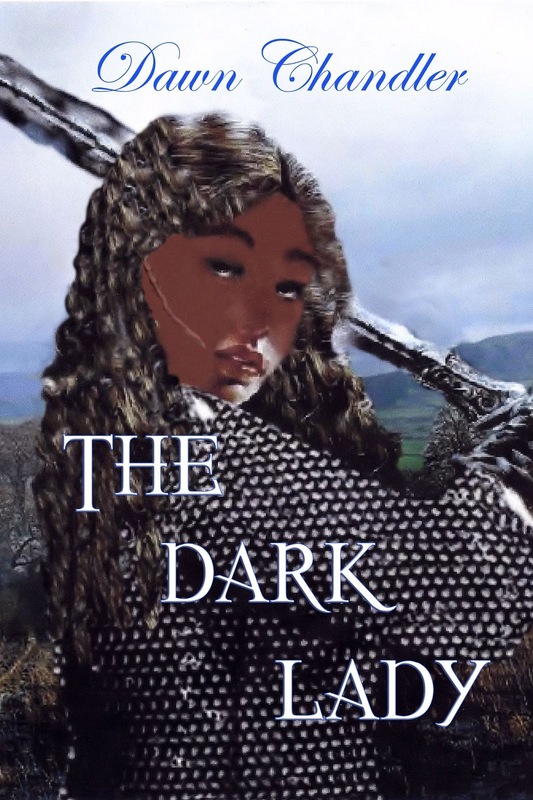 I have although been waiting so impatiently for the release of my new novel The Dark Lady. 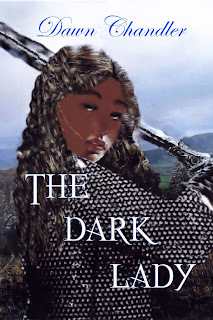 The Dark Lady is a historical romance set in 12th Century England. Peter Lawston, Lord Grayweist, hopes for a shy and controllable wife to run his castle and bear his children. What arrives, instead, is a hell cat, who doesn't know the first thing about being docile or obedient. There’s something familiar about his unconventional wife, but Peter can’t put his finger on it. You can read the first three chapters at www.dawnchandler.net by clicking on the free reads link. If you have any questions or comments please feel free to ask. I will get a response to you as soon as possible. I am an avid reader, but I have to say that my very favorite is Stephen King. I have almost all of his books and I have read them all multiple times. I also like to read Catherine Coulter, Connie Mason, Kat Martin and a wide array of other romance novelists. I prefer to read and write historical romances. Contemporary women, while yes we have our own problems, are not as interesting a read. Women nowadays are not sold off, or traded or bartered with, at least not in decent society. It is not a matter of your father telling you that you will marry this man because the families made an arrangement before you were even born. And it is not just the women, the men were just as trapped in marriages that may or may not work out, just as trapped by the dictates of society. Walk around the stores today and look at the pants bagging around the ankles while the boys try to hold them up while they walk and you will see that society no longer has a claim to what people want and what they want to be. I will rant on about that at a later posting, this one was supposed to be about my favorite books, and those would be The Dark Tower Series, by the master Stephen King. I have read them several times and unfortunately my copy of The Gunslinger is not in need of replacement since I have read it once to often. wiener dog is named, is the last of the gunslingers and the final remaining member of the line of Arthur Eld. A once magical land is now dying and the Gunslinger is on a journey of many lifetimes to fix the problems that are devastating his home. Roland's quest is to find the Dark Tower, the building that is said to hold the fabric of reality together. That is why this series is my favorite, and why I am a Dark Tower Junkie. It holds secrets from many of his other books and you get to become reacquainted with your old friends. Tell me about your favorite books and why and then go to http://dawnchandler.net/Contact.html and send me a comment with your email address in it and a comment that says you would like to enter to win a wonderful swag bag full of prizes. If you have not yet had the chance to go to my Facebook page at https://www.facebook.com/dawnchandlerauthor?ref=tn_tnmn please come by and help me celebrate the release of my novel The Dark Lady. Its official release is tomorrow, but I thought I would start celebrating early.